Taking place at Deception Pass State Park which is named for the narrow and dramatic channel of water that separates Whidbey and Fidalgo Islands in the northern Puget Sound. The area is famous for it's rugged coastline, steep cliffs, dense forests and great views. The race covers just about every inch of the park, running at times right at sea level and other times high above on bluffs and hills and twice crosses the pass itself via the historic Deception Pass Bridge which sits about 180 feet above the water. 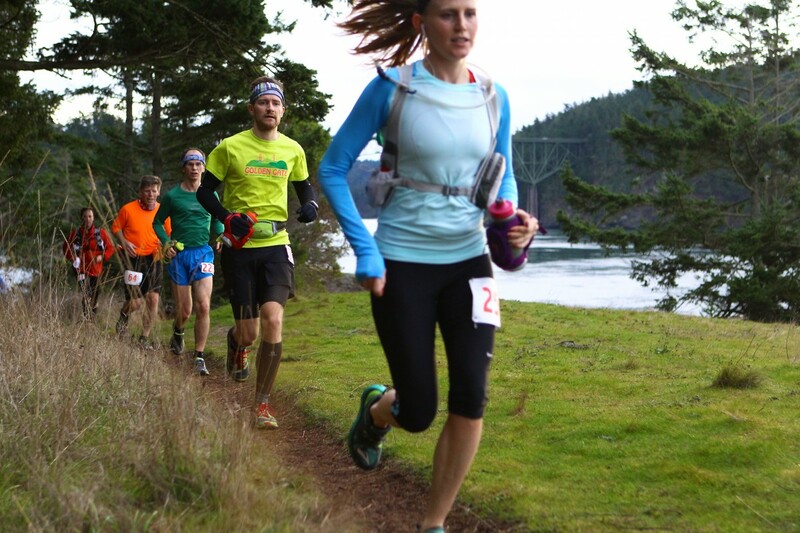 There are no mountains or long climbs like many of our other Rainshadow Running Races but make no mistake Deception Pass 50k is still a tough race with it's technical footing, narrow, twisty trails and at times steep grades. It maybe be one of our faster courses but it's still a good challenge!